The wealth of information available to social media marketing practitioners is staggering. Companies typically track “likes” and retweets, but they can also track things they rarely focus on: the qualified leads coming from social, a company’s share of a conversation, and even the amount of revenue generated from an individual social marketing initiative. 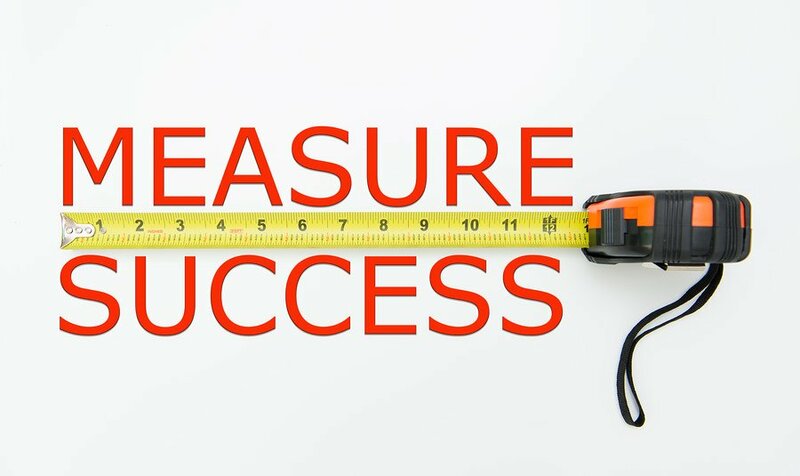 While this scope of measurement is possible, companies don’t often prioritize the measurements that truly reflect their success (or lack thereof). It’s important to focus on the KPIs that matter to your company in the correct context to optimize your social spending. A common misconception is that a high number of followers equates to social media success. Although “likes” and follows are where prospective customers begin their journey, these numbers aren’t meaningful as standalone snapshots. All companies want more followers, but increases don’t mean much if fans aren’t converting and eventually becoming customers. Motivating followers to purchase is the goal. Examine the “path to purchase” to determine where conversions are sluggish, and modify messaging, offers, and calls to action as necessary. Many have heard about infamous tweets that dismantled brands’ images in a matter of minutes; however, the more common social media missteps are more subtle — and much more fixable. Skimping on Strategy: Too many companies skip over social strategy and go straight to implementing specific tactics, without considering how those tactics will benefit overarching business goals. Without a strategy in mind, the information you gather on key performance indicators won’t be of much help. Not Utilizing Data: If your company isn’t using social media monitoring/listening software, you need data to serve as a benchmark for measuring success. If you don’t have a benchmark for your company’s KPIs, it’s impossible to know whether your efforts are improving or stagnating — or how a bump in specific metrics reflects overall business success. The data you need exists, typically in a CRM database or collected via social media monitoring software. Rather than letting that information sit idly, put it to good use to learn and understand — understanding consumer sentiment is vital as you move forward with social media marketing campaigns. Flying by the Seat of Your Pants: Many companies don’t know how to interpret data or don’t have skilled personnel to handle social marketing endeavors. Running a poorly executed initiative is just as useless as not having one at all. Get help! Tracking all consumer touchpoints allows companies to properly attribute conversions and determine the social media content or offers that led to conversions. By closely monitoring what’s working well, companies can understand the true value of their social marketing efforts. Spiral16 offers excellent tools for social media monitoring and listening that collect relevant information online. Companies that turn online data into business intelligence are well-armed to make keen insights that enable knowledge-based business decisions that can lead to competitive advantages. Twitalyzer and SocialBro help you gauge your reach and influence on Twitter and the relative success of specific initiatives. They can also reveal valuable insight about your followers to give you ideas for tweeting more impactful content. Google+ Ripples creates an interactive graph of shares of any public posts on Google+ to show how a post “rippled” through Google+. It displays who publicly shares posts via Google+, the comments they make, and how posts are shared over time. Depending on your organization’s specific objectives, these metrics can be interpreted to determine which social media marketing campaigns are most effective, which have underperformed, which need tweaking, and which should be curtailed. Constant, long-term monitoring of metrics can help companies pinpoint the average conversion rate of followers becoming paying customers. That conversion rate should be used to gauge conversions over time to reveal the company’s strengths and help indicate where adjustments are needed. When it comes to a spike in any one metric, it’s important to provide context for KPIs and resist knee-jerk reactions. Single data points examined in a vacuum aren’t meaningful; instead, determine which metrics provide real insight into your company’s success and focus on the relationship between your social performance and tangible business results. Stephen Monaco is an integrated marketing expert, thought leader, innovator, author, and speaker. As a marketing consultant and social business strategist, Monaco advises companies on driving strategies and leveraging digital media to effectively realize business goals. He welcomes anyone to reach out to him on Twitter, LinkedIn, or Google.